Don’t show up to CupcakKe’s party uninvited. We're less than two months into 2018, but it's already been a jam packed year for CupcakKe. Fresh off the success of her third album Ephorize, the Chicago MC recently put out a wildly explicit (yet incredible) video for "Duck Duck Goose." 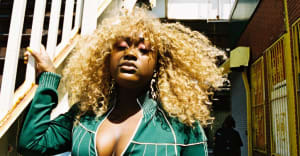 Today, she released the next Ephorize clip, and though perhaps less graphic than "Duck Duck Goose," it's still vibrant and gloriously gaudy in all the ways a CupcakKe video should be. The "Fullest" visual shows what really goes down when CupcakKe throws a house party— and what happens to sloppy uninvited guests. Watch it above.